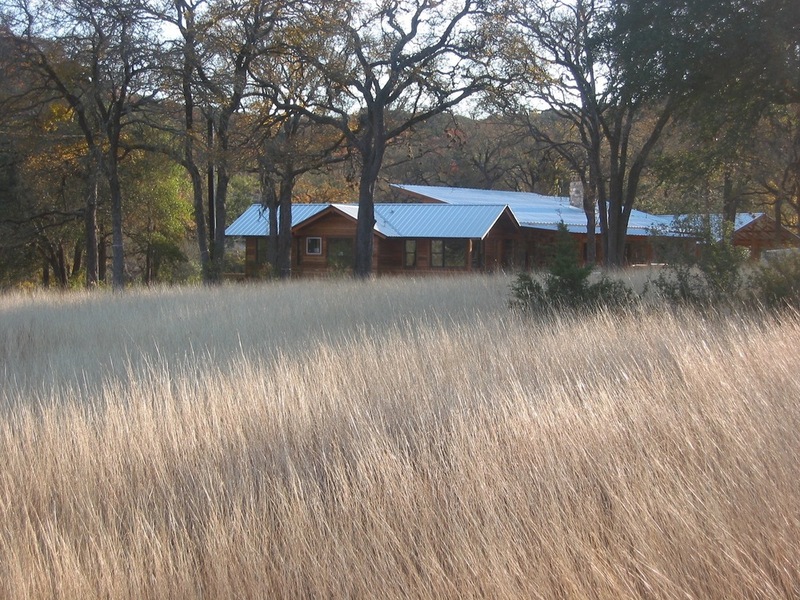 Sited in an elm grove by the banks of Lone Man Creek, this modest house blends in with its environment. Post and beam construction allows the house to be sited with very little ground disturbance and within feet of the mature elms. 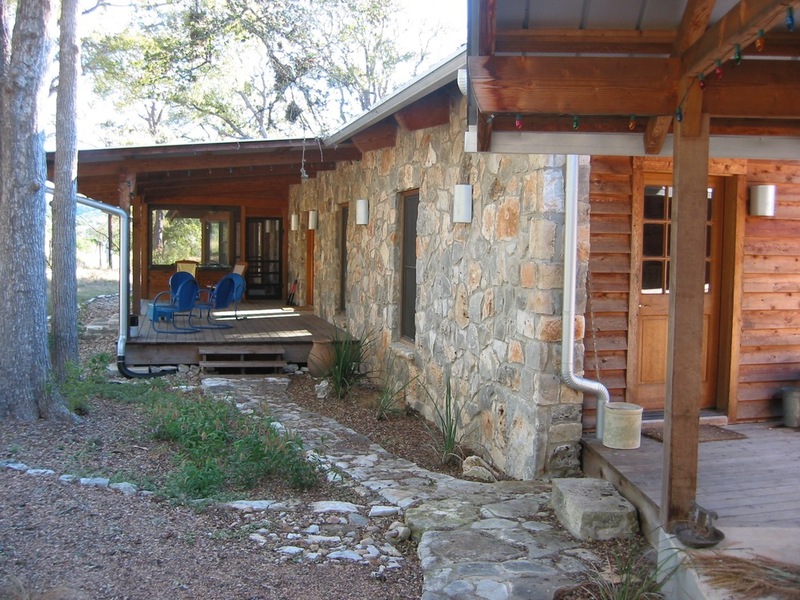 The house employs thick local stone walls with small openings to the hot west exposure and opens up to the east with cedar siding and lots of glass. Texas limestone and cedar are repeated throughout the house, creating a feeling that this house could exist nowhere else but this very special spot.